Mr Timms sees broadband infrastructure as a "personal priority"
Mr Timms said broadband infrastructure was one of his "personal priorities". "Today we face a new challenge. Other countries are starting to invest in new, fibre-based infrastructure, delivering considerably higher bandwidth than is available in the UK today," Mr Timms told the Broadband Stakeholder Group and others attending a meeting on Tuesday evening. "I have decided to chair a high level summit later this year to consider the circumstances that might trigger public sector intervention and the form that intervention might take," he said. The event was organised by the Broadband Stakeholder Group to outline its own plans to improve the way next-generation broadband is rolled out in the UK. According to Richard Allan, a member of the Broadband Stakeholder Group and director of government affairs at Cisco, the UK needs to act now in order to keep its place in the top 25% of broadband nations. "That should be one of the targets that the government sets if it wants to stay economically competitive," he said. 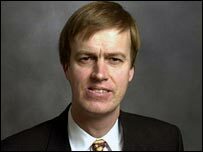 Mr Allan believes that the UK should have 40% of its citizens connected to fibre that can deliver broadband speeds of up to 100Mbps (megabits per second) by 2012. "The current copper-based system is limited by ADSL which means 24 megabits under very good conditions," he said. It is estimated that upgrading the whole of the UK to a fibre-based network could cost £10-15bn. While other countries, including France, Germany and Italy are already looking at ways of improving the so-called access or last-mile network which connects to people's homes, there is so far little investment in the UK. According to Mr Allan, the reasons for this are part-historical. "There is evidence that the cost of civil engineering work in the UK is particularly high," he said. He believes government intervention in lowering these costs as well as help with planning laws and providing the necessary ducting for fibre would be a step in the right direction. 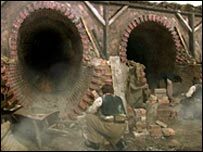 In some countries ducts for fibre have been made available via municipal sewers although Mr Allan is not sure this is the solution in the UK. "Traditionally UK sewers are deeper and they are not municipally owned but there are other ways to keep the disruption of digging up roads to a minimum, for example with micro ducts which sees fibre blown through long runs," he said. The BSG is also calling on Ofcom to provide a regulatory framework to support investment in next-generation networks.